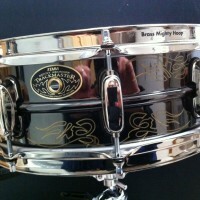 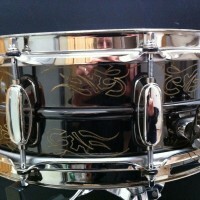 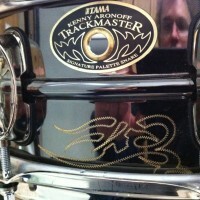 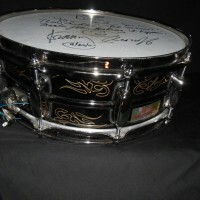 This drum was initially ordered for Kenny to play on the taping and webcast of a drum clinic presented by Donn Bennett Drum Studio in 2,000. 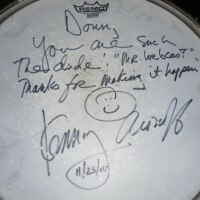 This was this first ever drum clinic webcast. 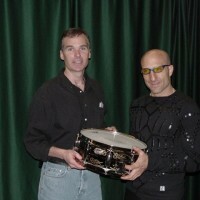 Over the following years Aronoff used this drum on numerous performances in the Seattle area including several clinics at Donn Bennett Drum Studio, one off performances with Michelle Branch, several Woodstick Drum festivals and a 2013 guest performance with the Seattle Seahawks Blue Thunder Drum line that helped set a Guinness World Record for the world’s loudest stadium. 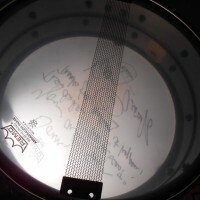 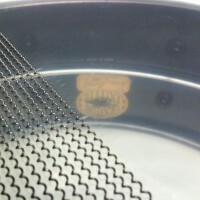 The head and Signature Pallet sticker are signed by Aronoff. 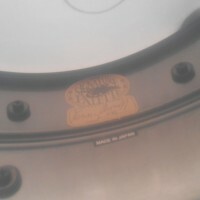 It is guaranteed authentic.